Kathleen Alice Rogers, 74, of Pensacola, FL, went to be with the Lord September 3,2018. Kathleen was born August 5, 1944 to her biological father Delbert Connor and mother Yvonne Birtha Swinson. Kathleen was an outstanding wife, mother, and teacher. She had so much dedication for her job and was always eager to help her students learn. Kathleen was a captivating person whom had many hobbies to include sewing, making jewelry, painting, and learning. She was passionate about learning not only academics but her own family history and ancestors. Everything she did she gave it one hundred percent no matter how big or small. She is preceded in death by her father Gerald Robert Swinson, of Swinson Park in North Carolina and her aunt and uncle Bill and Jay Barnes. Kathleen is survived by her mother Yvonne Birtha Swinson; husband, Norman Rogers; son, Mark (Becky) Wyatt; granddaughter, Ginger Holland; great grandson, Kayden and numerous extended family and friends. A service will be held at Trahan Family Funeral Home on Monday September 10, 2018 with a visitation starting at 11:00a.m. and service at 12:00p.m. Followed will be an internment at Barrancas National Cemetery at 2:00p.m. Kathleen wholeheartedly loved her husband Norman Rogers without reserve and valued his company tremendously. 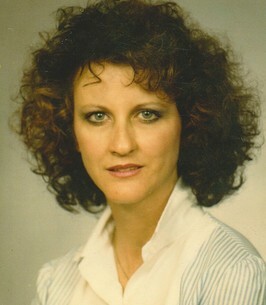 Kathleen unconditionally loved her only son Mark Wyatt with all her heart and they had an unmistakable bond. Mark was her pride and joy and being his mother was her greatest achievement. To send flowers to the family of Kathleen Alice Rogers, please visit our Heartfelt Sympathies Store. Internment at Barrancas National Cemetery will take place at 2:00p.m. We encourage you to share any memorable photos or stories about Kathleen. All tributes placed on and purchased through this memorial website will remain on in perpetuity for future generations. My condolences to the families of the passing of Ms Kathleen. My deepest sympathies to the Rogers family of your recent passing of Kathleen.